I wasn’t really expecting this to work, because I had already seen the MSTest online command options. This is how I wanted it to work, but no luck. I was thinking that since you can run all the tests in a solution via the menu in Visual Studio, that you should be able point the MSTest executable at the solution and it would determine what tests to run. If you go to the command line options page for MSTest you will find that MSTest will take a ‘testmetadata’ option that allows you to specify a vsmdi file. 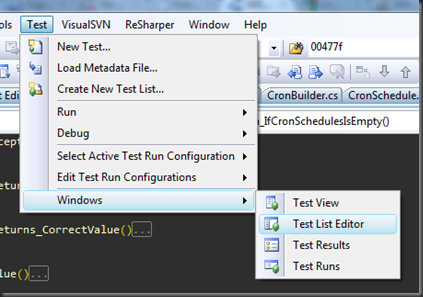 In case you didn’t know the vsmdi file is the test metadata file that Visual Studio generates for your project that contains tests. 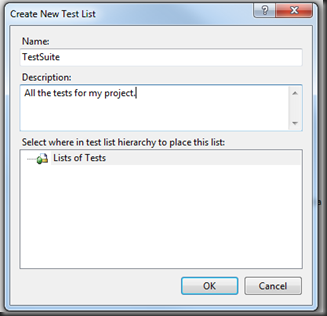 Here is a screenshot of a folder containing a solution that contains tests. The highlighted file is the vsmdi file. Great. So if I use the following at the command prompt I should get my tests to run. Wrong! I was kind of expecting this to work. So what went wrong? “No tests to execute”…how could that be? The project has a lot of tests. It turns out that Visual Studio Professional 2008 doesn’t populate the vsmdi file without a little extra work. 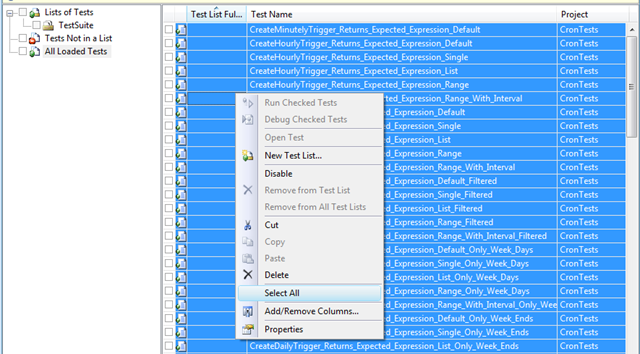 Click the ‘All Loaded Tests’ option in the tree view to display a list of available tests. Right click on the displayed list and select the ‘Select All’ menu item. 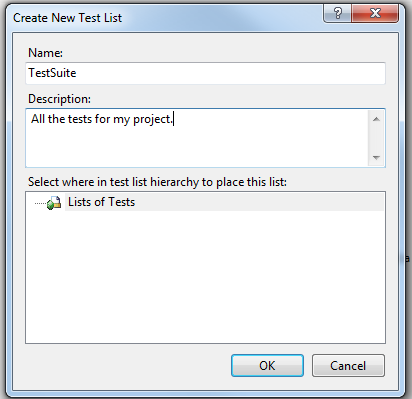 Drag the selected list into the ‘TestSuite’ (or what every you named yours) tree view item and drop the list. 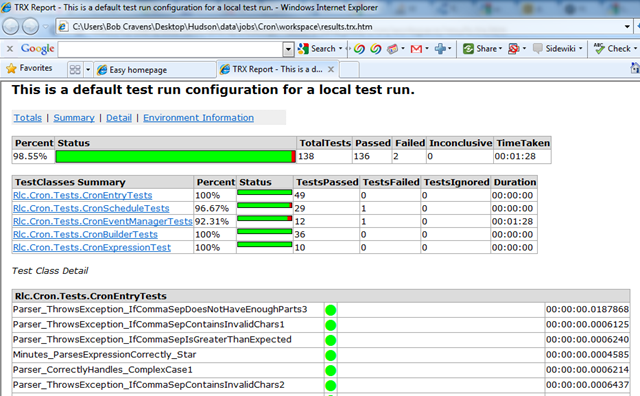 Now if you revisit your vsmdi file it will be populated with your tests. Running MSTest at the command prompt with the ‘testmetadata’ option pointing to your new vsmdi file will run the tests. Two failing tests…looks like I got some work to do still on this project. It is important to copy and rename your vsmdi file because Visual Studio will overwrite it. It is a bit of maintenance to generate a new file when ever you add tests. What if I want a report that will be persisted with the build. There is ‘resultsfile’ option that allows you to specify a file to save the test results. The transformed results are visually more pleasing. Now we have tests being run via the command line. I know that this is a lot easier using some of the other testing frameworks. If anyone wants to share their tricks to get MSTest to run via command line, I would like to hear. Just for your information. The mstest.exe included with the visual studio 2010 has a few more options, one of which is :/testcontainer:[file name]. 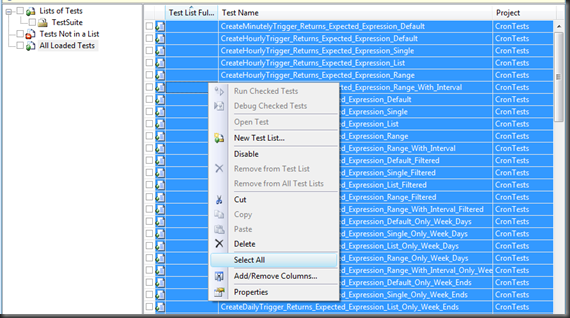 You may use this option to specify a dll which contains the tests to run all the tests in it. 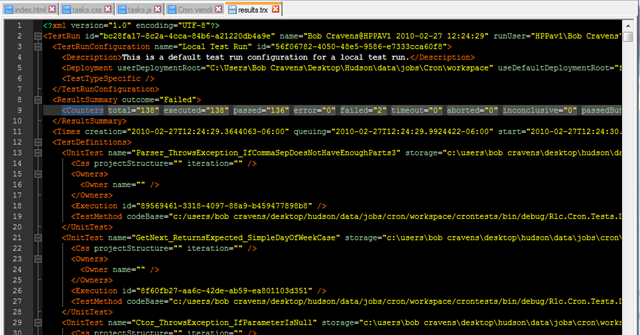 In this way, you don’t have to create the testmetadata file if you want to run all the cases in it. 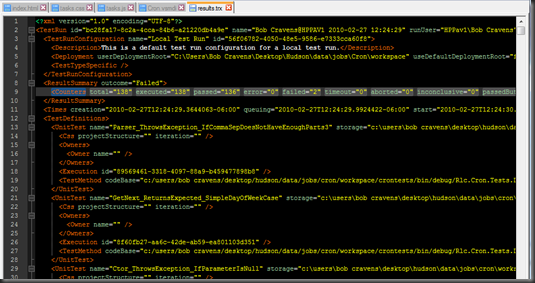 As far as I can see, the testmetadata option is useful when only part of the tests need to be run. Hey thanks for providing this step by step guide but I am facing issue in may case, ‘[testname] cannot be found’. 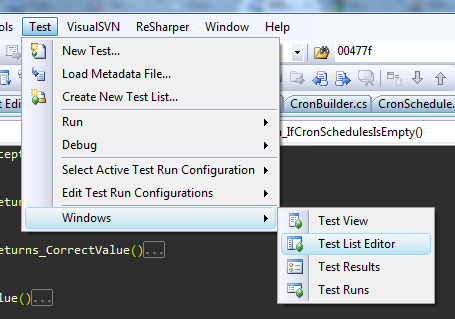 But I am able to run unit test list from Visual Studio can u please provide solution for this? How to do if i don’t want to run specific test list from vsmdi file. 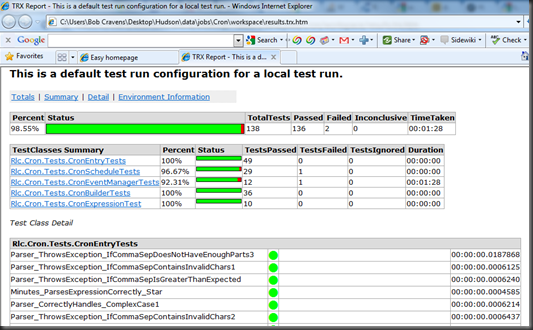 Am running a load test using MSTest. that is running fine. but it is running locally even though I set test executed method to remote execution in load test. Can you please elaborate what are the steps for building .NET project if the Jenkins is installed on a Linux machine. 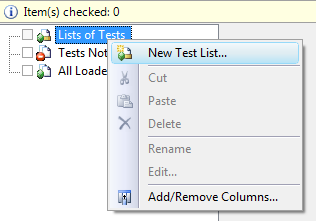 In fact there is no “test list editor” in vs 2013, I only find playlist, but /testmetadata do not such playlist file.